For years, garage doors were considered useful only for entering the home via the garage. However, science and technology has meant that garage doors have become far more important when it comes to the security of the home. Modern garage doors are capable of not only protecting your garage and your home but also in giving it a new and improved look as well. Therefore, it is important that you make the decision of buying a garage door very carefully. The installation of a garage door has never been an easy task. Modernization has made the installation process of garage doors even more difficult. There are so many parts and components of the modern garage doors that need to be installed in the right order. Any mistake in installing even a small part can hamper the functioning of the door in future. Therefore, it is best that you assign this task to us. 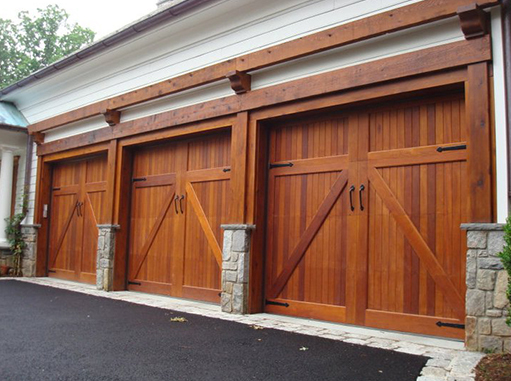 We have a great history of garage door installation in Bellevue. Our technicians have experience working with the best names in the garage door manufacturing business like Amarr, Clopay and CHI. They can install your door as per the given instructions. Call Garage Door Installation Bellevue WA for a quote or if you have any questions! If you need a new garage door, new garage door opener, new garage door cables, new garage door sensors, then you’ve come to the right place. Garage Door Installation Bellevue WA is an experienced company for the business of residential and commercial garage door installation. We have experience installing thousands of new garage doors in Bellevue and other business areas with home owners for over 20 years. We have skilled and quality technicians who have achieved good reputation among the business of home owners around Bellevue. We understand your need, and we offer a good selection of designs, and parts for your satisfaction. We offer things that are affordable. We believe in quality work and that’s why we offer you things that’s required with a cheap rate. Give Garage Door Installation Bellevue WA a call (425) 440-0847 to get a quote if you have any questions. Door openers are of paramount importance when it comes to opening garage doors. The door openers are available in a number of shapes and sizes. You have to buy that door opener which is compatible with your door. We can help you out in this regard. Garage Door Installation Bellevue WA has technicians that can provide you a list of the door openers that are compatible with your door. We also offer services for garage door opener installation in Bellevue as well. Our technicians can install the door opener of your choice in the right manner in a matter of minutes. For quotes or questions in Bellevue, WA, please call Garage Door Installation Bellevue WA at (425) 440-0847 for an appointment today! Belt-drive garage door openers are said to be the best openers when it comes to garage door openers. Rather than a chain, a rubber belt is used for its efficiency. Its helps a lot in that it minimizes the components in the machine to cause a disturbance and it reduces the need for future repairs. For quotes or questions in Bellevue, WA, please call (425) 440-0847 for an appointment today! Among all the garage door openers, screw-drive door opener is the second best alternative. It is due to the fact that the screw-drive garage door opener comes with less moving parts which automatically requires less upkeep and fixes. These are slightly better because the screw-drive garage door opener has less moving parts. It’s operated by a large/long screw which is rotated by an electric motor which lifts the garage door. This causes there to be less repairs compared to the chain drive and belt drive. They are also much quieter when noise is the worry, but a bit more pricey in money sense. For quotes or questions in Bellevue, WA, please call (425) 440-0847 for an appointment today! A Chain Drive Garage Door Opener is the most trusted out of all opener types. This type of garage door opener has been very popular and is most installed to this day. When it comes to quiet and comfort it might not be the best but it is the cheapest opener, because it is opened via chain.The chain isn’t the quietest option and is not advised if the garage is next to a bedroom. To some people, the noise is an advantage,because it tells the owner if and when the garage door is opened. For quotes or questions in Bellevue, WA, please call (425) 440-0847 for an appointment today! Most garage door openers are installed above the door, called a trolley bar. A different model that can be installed on the side of the door is called a Jackshaft garage door opener. This type of opener is used for specific applications and is best known for its commercial uses. Direct Drive Jack-shaft Opener is a uniquely designed garage door opener. It is usually mounted to the wall beside the garage door. It is powered by a DC motor that is extremely quiet. For quotes or questions in Bellevue, WA, please call (425) 440-0847 for an appointment today! At garage door repair, we are also able to do garage door spring system installations. The reason for new garage door spring installation systems are because of the heavy weight of the garage door. Our garage door technicians will inspect the garage door and will also be able to detect which garage door spring system is the best suitable for your door. This is not as costly as some people may think. For quotes or questions in Bellevue, WA, please call (425) 440-0847 for an appointment today!